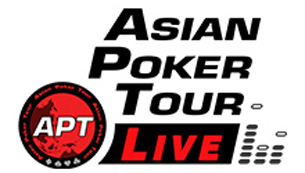 The APT Philippines Championships 2018 will be held from March 21st to April 2nd at Resorts World Manila in Pasay City, Philippines. Staff Charge of 0.6% on the Super High Rollers Prize Pool after fee deduction. Multiple re-entry is allowed until the close of registration – start of Level 10. Players that qualified to Day 2 may re-enter a new Starting Day. Side Events designed to finish in 2 days will become a 1 day event if the Final 8 Players are reached by 10:00 PM. All side events except NLH Two Day Event, High Rollers, Super High Rollers, and Satellites will allow re-entry before the close of registration - start of level 7. Registration for Satellites will close at the end of the first break. Qualify to the APT Philippines Championships 2018! Natural8 is running a special online satellite promotion to the APT Philippines Championships 2018. For more info, check out the Natural8 APT promo page. Resorts World Manila Satellite Series in full swing! Results of the APT Philippines Championships 2018 will be posted on our Events & Results page.